Just when you thought the megapixel war was over! Canon have now beefed up the stakes by releasing two new DSLR's with more than double the resolution of the EOS 5D Mark III. 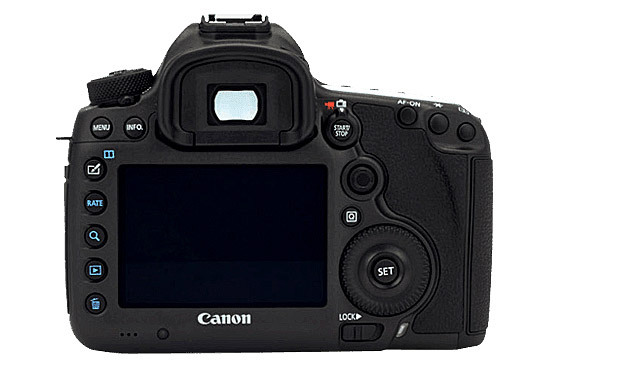 Saying that, Canon are quick to announce that these cameras are NOT a replacement or update to the 5D range. The 5D, 5D Mark II and 5D Mark III are all safe so this is NOT a 5D Mark IV as such. The only real difference between the Canon EOS 5DS and the EOS 5DSR is that the R version has no low pass filter. This is great for landscape, product and possibly portrait photographers as you get a noticeably sharper image BUT you risk the danger of moire. This could be a problem for fashion or architectural photography which have fine details with lines and squares etc. Personally, I like the idea of more megapixels for stock, landscape and architecture photography. This is where I know the images could be used for massive prints. However, I can't see the benefits of such a large sensor for standard prints, web use and so on. Even files from a 5D Mark III are big enough to look amazing on a 4K TV. Anyway, I still believe that 50mp will be great for creative cropping meaning you can get multiple, high resolution images from one exposure. Very cool. With regards to video, I honestly think that Canon should have left it off these cameras. They should have "filled the space" with goodies for stills shooters as this is clearly where these cameras are aimed. Perhaps the "moire free" Canon EOS 5DSR should have had upgraded video functionality. Features such as faster frame rates, 4K, headphone jack, peaking etc leaving the EOS 5DS to the stills fans? Whilst I was initially tempted to go for one or the other, after about 10 minutes I decided against it. I still cannot justify the added expense for extra megapixels and a few added features that I can do (and more) with the Panasonic GH4. I think I am going to hang out for the Canon EOS 5D Mark IV. If that doesn't have the features I want or need (4K video, fast frame rates, larger sensor etc), I am probably going to switch to Sony and the amazing A7s and/or its next gen line up. I feel my marriage to Canon is coming to an end…sob. That's about it for now but you can see more details on the Canon website below and you can place your order at Amazon.